Strap in, hold on, and enjoy the ride on the Xpress X19. 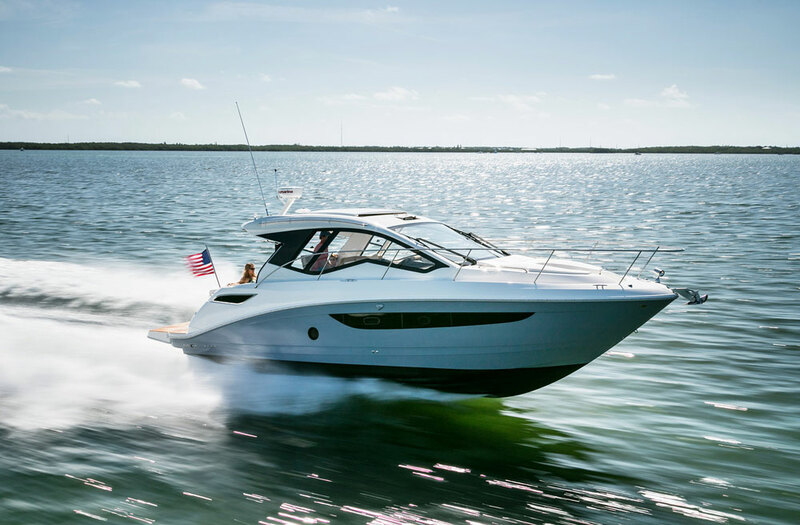 If you’ve ever been on a fast boat, you know that 60 MPH is where things start to get interesting. Now, imagine doing nearly 65 MPH mere inches above the water, on a low-slung 19-foot boat. That’s exactly what I did this summer on the Xpress X19, a bass boat with impressive speed capabilities that’s also stuffed with plenty of fishing features. Hold onto your hats, this is going to be a fast ride. 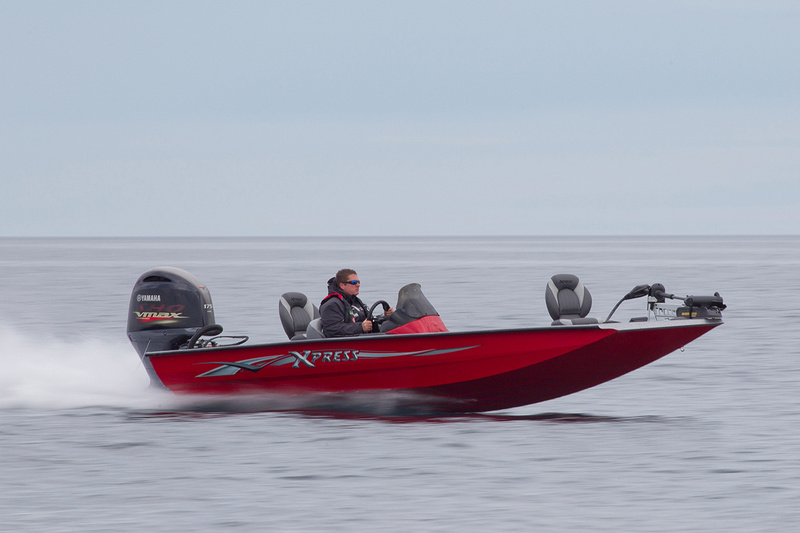 The Xpress X19 has a top speed of nearly 65 MPH. 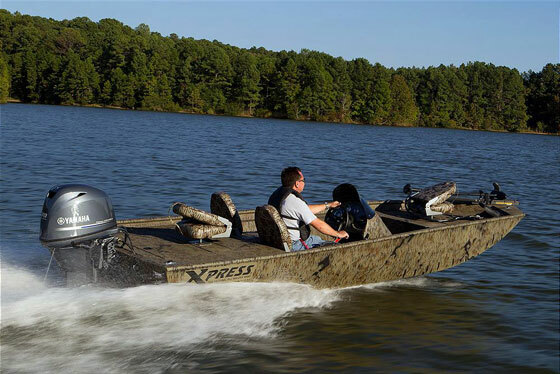 Hot Springs, AR, is where Xpress Boats has been building aluminum boats with a solid reputation for quality since 1966. 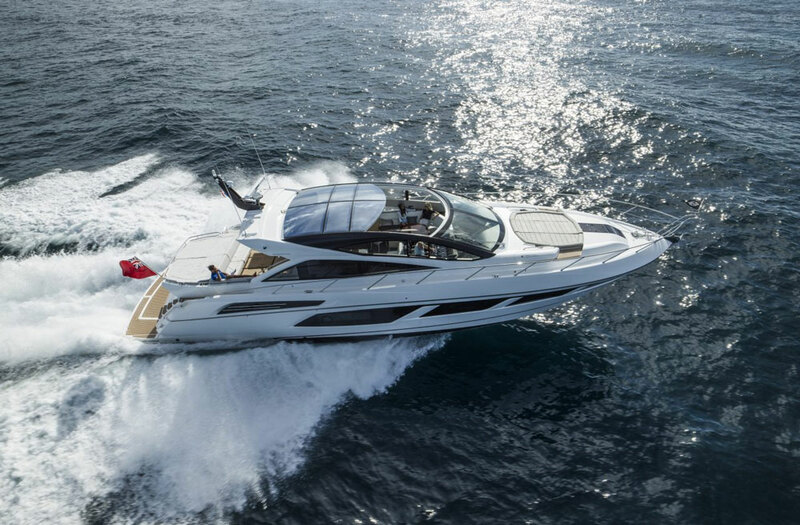 Particularly noteworthy is the fact that Xpress doesn’t use any fasteners in its hulls; everything is welded. Why that matters is because a properly welded boat is inherently stiffer than a boat held together with rivets, screws, or bolts. 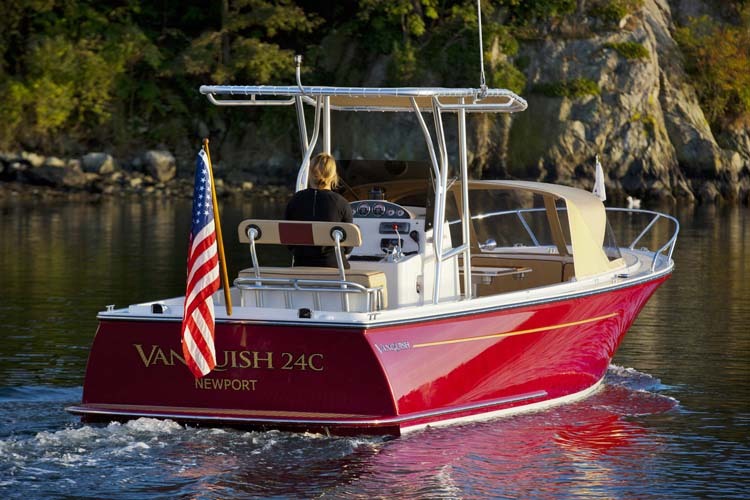 The benefit to you is a great-riding hull with outstanding durability. You can feel the benefits of that construction when you step aboard the X19. Everything feels solid and sturdy, from the casting deck hatches down to the cockpit floor. I liked that my review boat was, unlike many bass boats, uncarpeted. This makes cleaning up at the end of the day a snap. That said, some folks might not like that the paint can be a bit more slippery than a carpeted deck. Luckily for you, Xpress will build the X19 with or without carpeting. There are two seats in the cockpit with an additional small jump seat in between, and there are spots for two swivel chairs on the forward and aft casting platforms. The Xpress X19 is a virtual floating tackle box, with fishing features tucked into every nook and cranny. 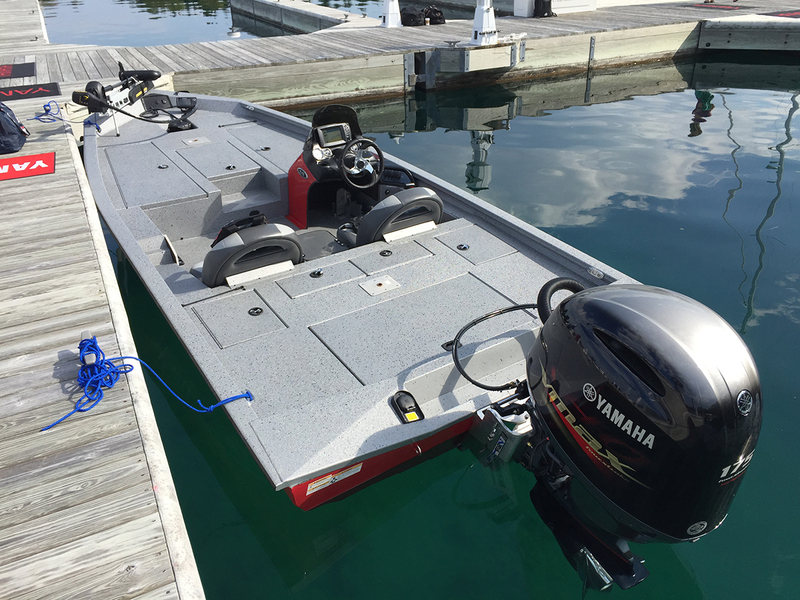 The deck of the X19 is a virtual tackle box of fishing features, packed with hatches concealing various large tackle stowage areas, an aerated livewell, a lockable centerline rod box, and more. 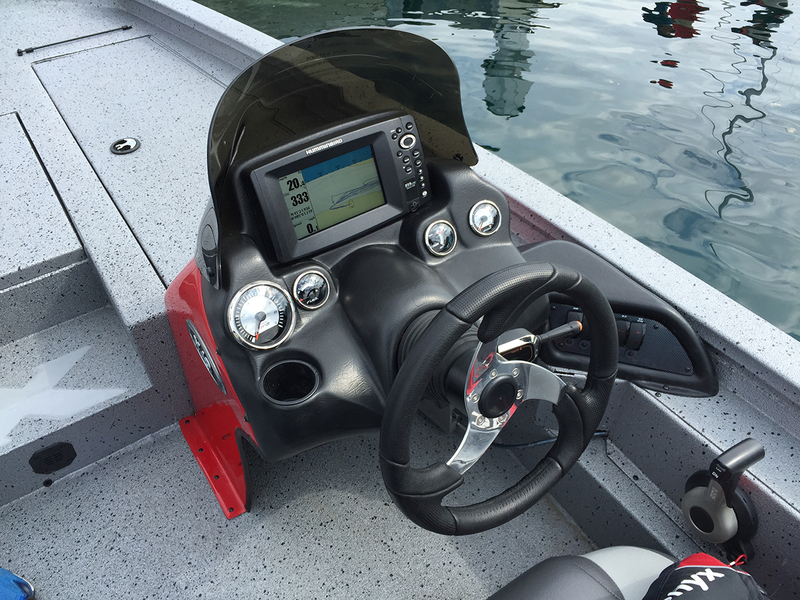 A bow-mounted Minn Kota 45 trolling motor with foot controls is standard, as is a Humminbird PiranhaMax 153 Graph fish finder. Most any serious bass angler is going to opt in for an additional fish finder on the bow, and Xpress has at least eight Humminbird models to choose from. 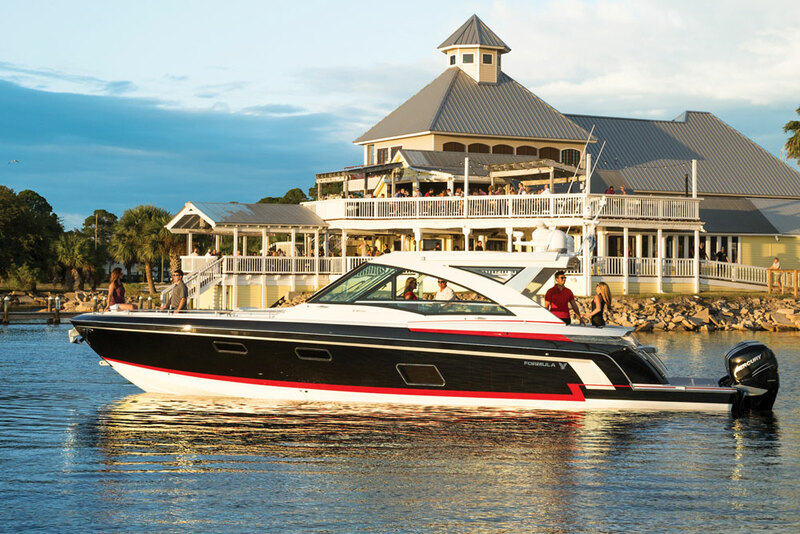 The Xpress X19 looks fast, even while sitting still at the dock. Its angled edges and forward-facing, bow-up attitude have a lot to do with that appearance, as does its elongated entry. 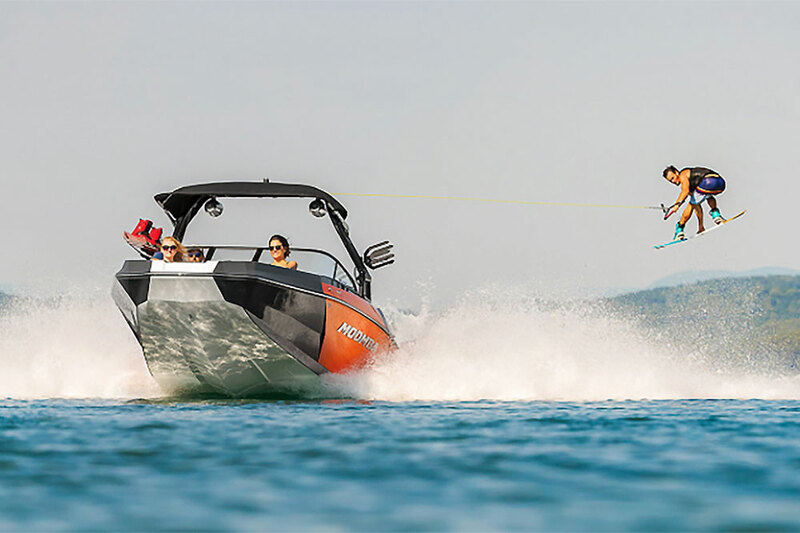 The X19 has the Xpress Hyper-Lift hull, which features multiple running surfaces designed to enhance performance at different speeds. To find out how it all worked, I took the X19 out onto Little Traverse Bay on a low-wind day, perfect for maximum speeds. The Xpress X19's dash unit is nicely laid out and all the controls are easy to reach, but I found the unit to feel a bit insubstantial, compared to the rest of the boat. Engine trim is controlled via a blinker-style trim stalk on the steering column. This also takes some acclimation for the uninitiated. Both of these control are options, so if the standard trim and engine controls are more your style—like they are for me—then you can skip the car-style controls. 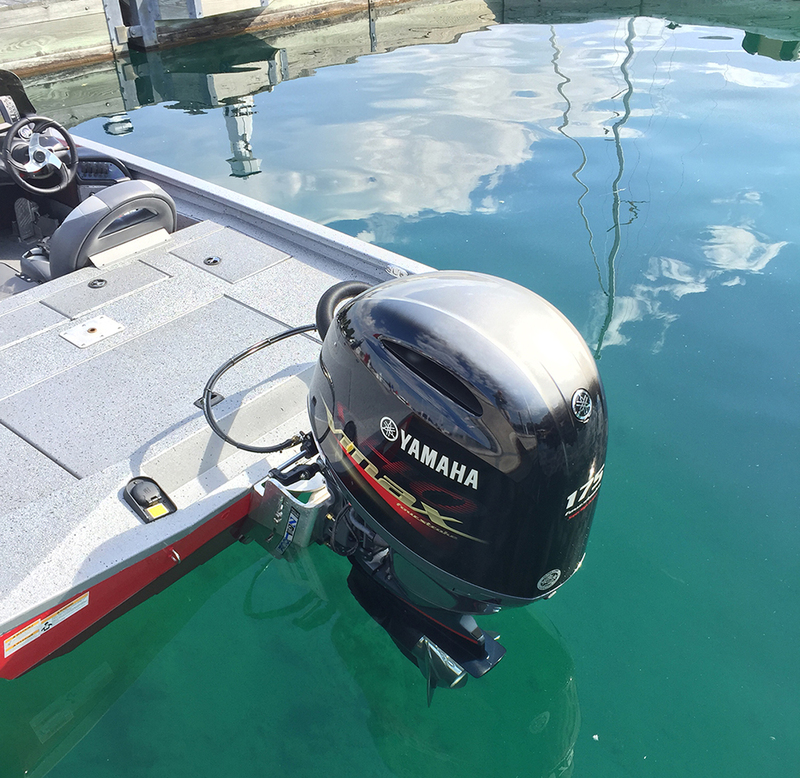 Yamaha's new 175 VMAX SHO outboard provides the thrills, on the Xpress X19 bass boat. My X19 had Yamaha’s 175 VMAX SHO outboard strapped to the transom. It’s a brand-new model in Yamaha’s ever-expanding VMAX SHO lineup. Once I got used to the controls, I pointed the X19 east down Little Traverse Bay and mashed my foot into the throttle pedal. While the initial hole shot wasn’t entirely impressive, taking a tad over seven seconds to get to 30 MPH, the mid- and upper-range power curve on the 175 VMAX SHO is nothing short of herculean. We blasted all the way up to around 64 MPH at 6,000 RPM, which while stable and controlled on the X19, also made it feel as if the wind was trying to peel the skin off my face. I did notice a little chine walking at high speed, but it never felt as if the boat was out of control. A more comfortable cruising speed was at 40 MPH, with a nice lean fuel burn of 8.4 GPH. I only found a couple of negatives worthy of comment. The first is visibility. Since the skipper’s seat is mounted so low in the boat, and the X19 already has an inherent “bow-up” attitude, I often found myself craning my neck to look over the bow while underway—even with the boat fully trimmed. I’m not tall, but I’m not short, either. It’s worth a look for prospective buyers. The second is the fiberglass and plastic dash/console, which simply felt unsubstantial. 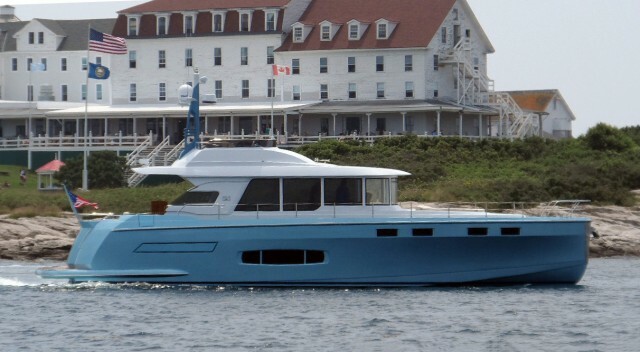 It wasn’t a huge deal, but it stands out on a boat that is otherwise incredibly well built and solid feeling. Once I could feel my face again, I steered the X19 back into the slip to wrap up my testing. When, the Xpress rep asked “What did you think?” I answered, “Wow. Just wow.” If you’re looking for a sturdy, well-built bass boat with ponies to get you there before all the other anglers, have a look at the X19. And bring eye goggles. Other Choices: Another speed demon in this class and size range is the Ranger Z118C. 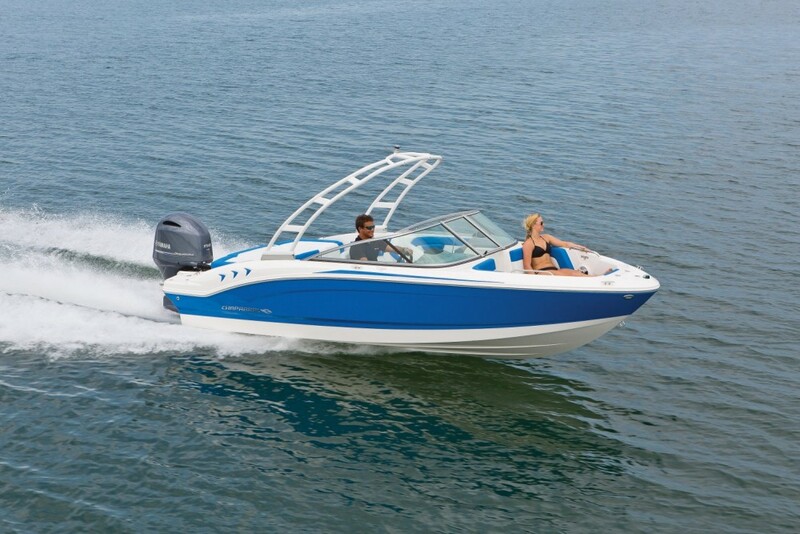 For more information, visit Xpress Boats.